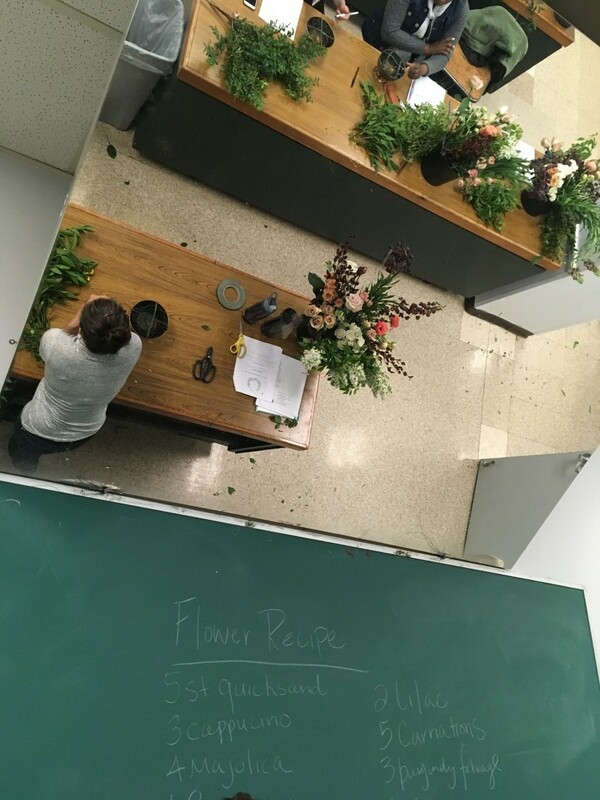 One of the best parts of late winter and early spring is that we find ourselves with time to do things like play with product or teach workshops. 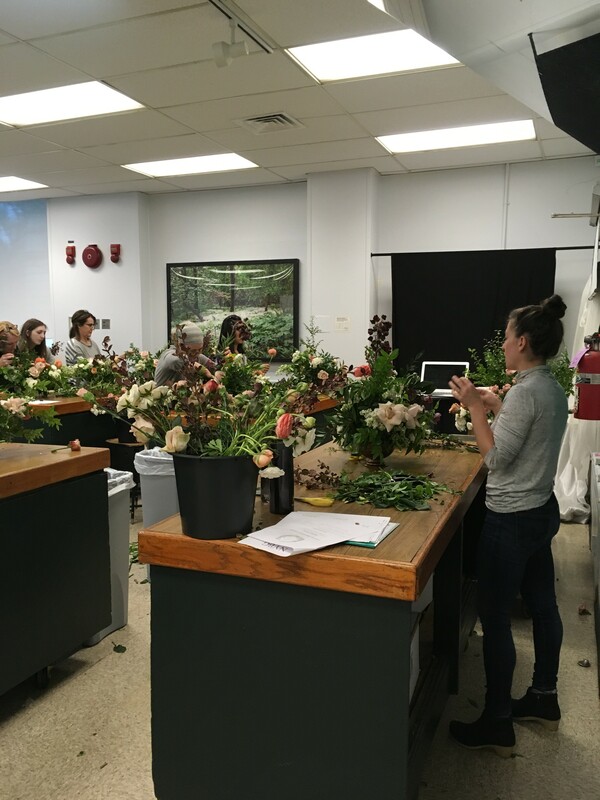 This past week, we were invited to the New York Botanical Gardens in the Bronx to teach a class. 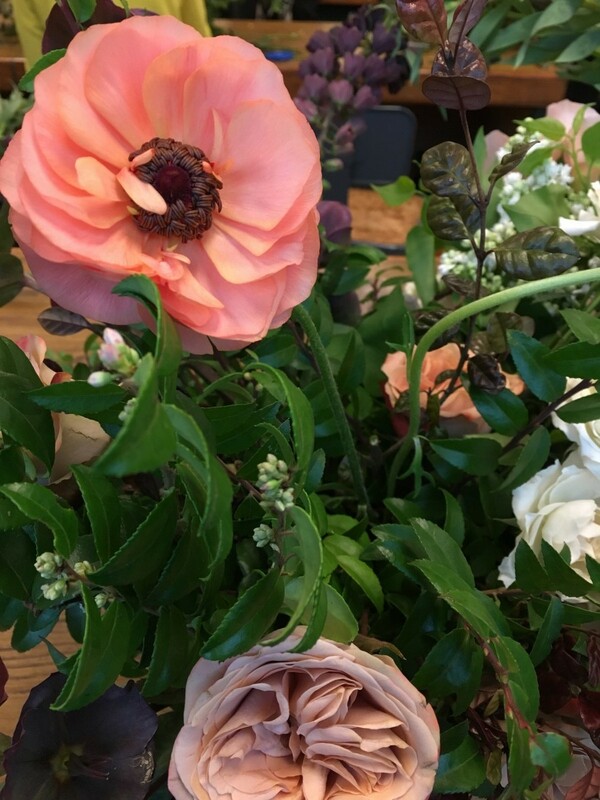 We focused on creating garden-inspired floral centerpieces with local, seasonal product to complete a tablescape. 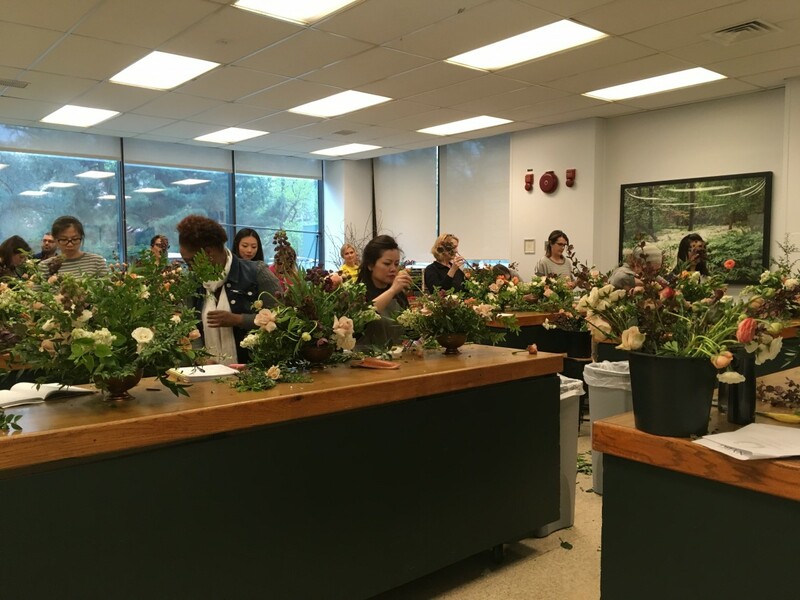 The product was incredible, and we had a full class! Over twenty eager and talented students joined us, each coming to the class with their own influences and history. It was so fun to hear what everyone had to bring to the table. 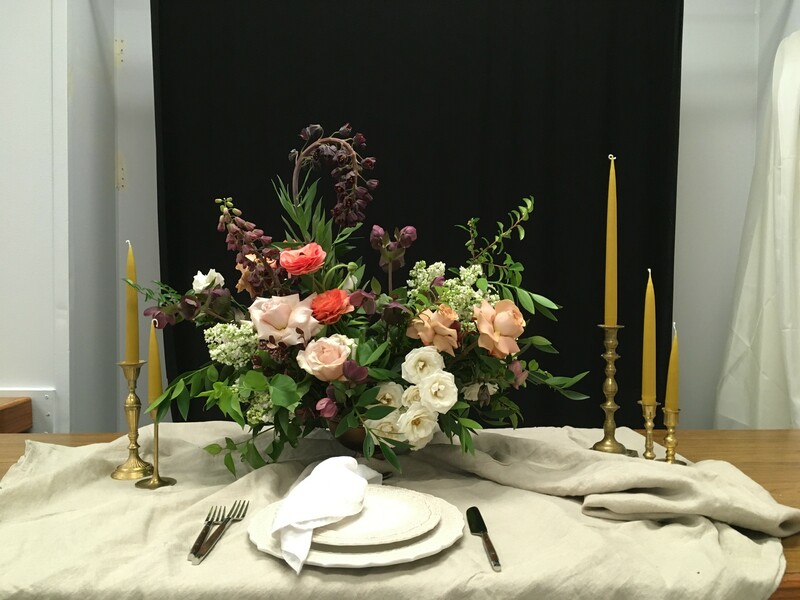 After working on the arrangements, we set up a mock table with a natural linen, elegant place setting, vintage brass candlesticks with honey-hued tapers, and a black backdrop for the students to photograph their work against. 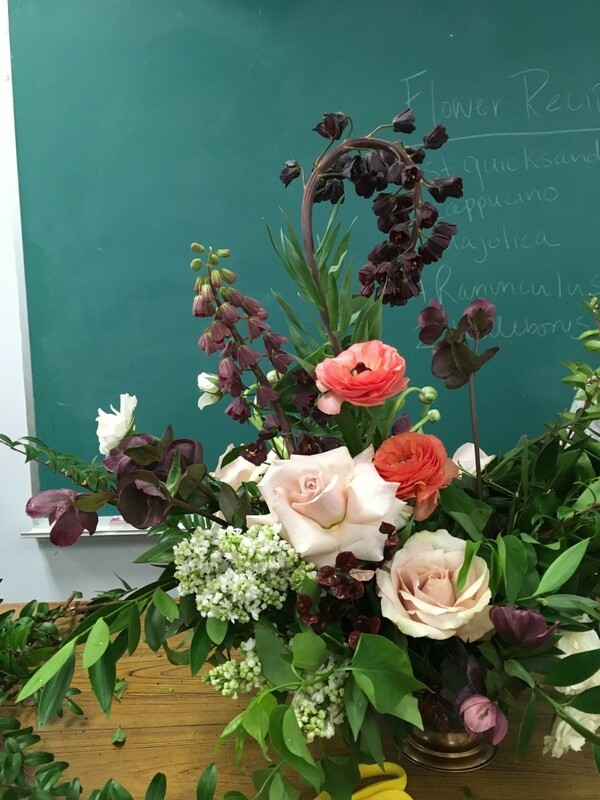 We find that photographing our arrangements in context helps us learn how we’d like to edit future arrangements. Things always look different in front of the camera. We hope to head back to NYBG again soon! We had a blast.